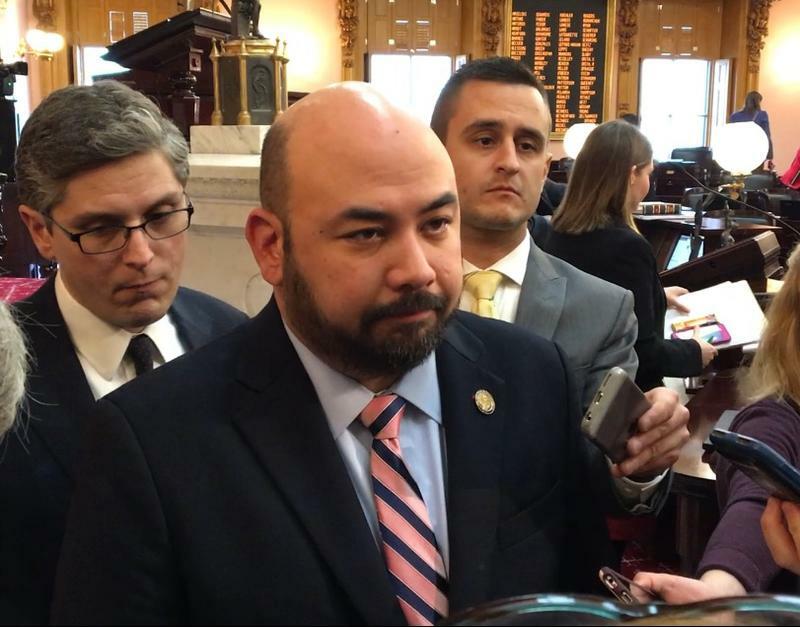 FBI agents seized records from the home and a storage unit in Wilmington of former Republican Ohio House Speaker Cliff Rosenberger earlier this year as part of its investigation into potential bribes and kickbacks from the payday lending industry. Ohio Governor John Kasich has signed into law a proposal cracking down on the payday lending industry. 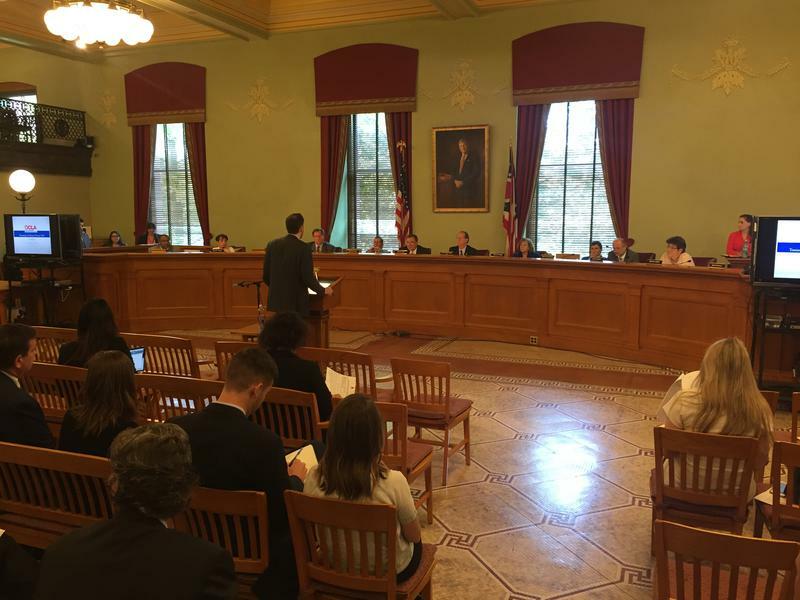 The Ohio House Tuesday approved Senate changes to a bill cracking down on the payday lending industry. The Ohio Senate has approved its version of a bill to overhaul the payday lending industry. The Ohio Senate has introduced amendments to a House-passed payday lending bill. 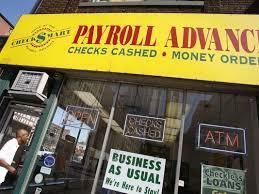 Republican Ohio Senate President Larry Obhoff tells the Associated Press the chamber will not pass a payday lending bill before breaking for the summer. Proposed changes are coming to an Ohio House-passed bill cracking down on the payday lending industry. 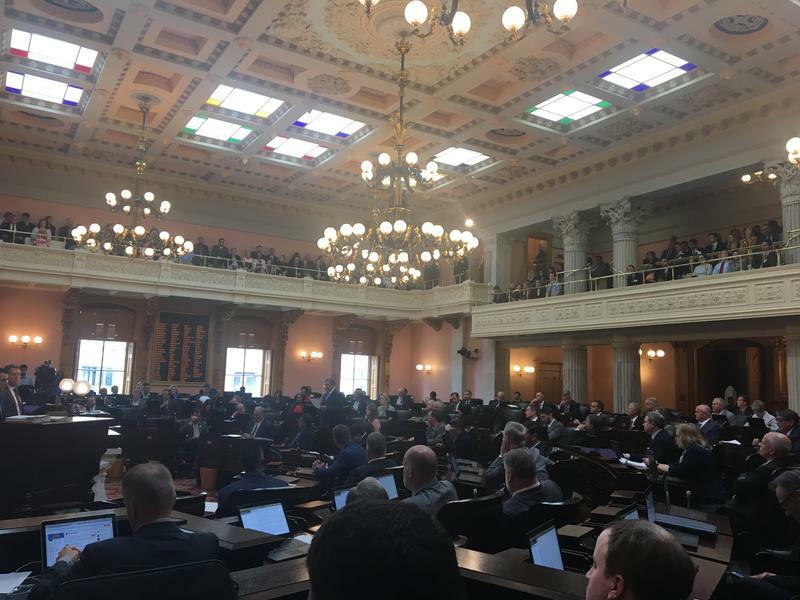 The Ohio House on Thursday approved legislation capping interest rates on short-term loans, a measure that had languished for more than a year. 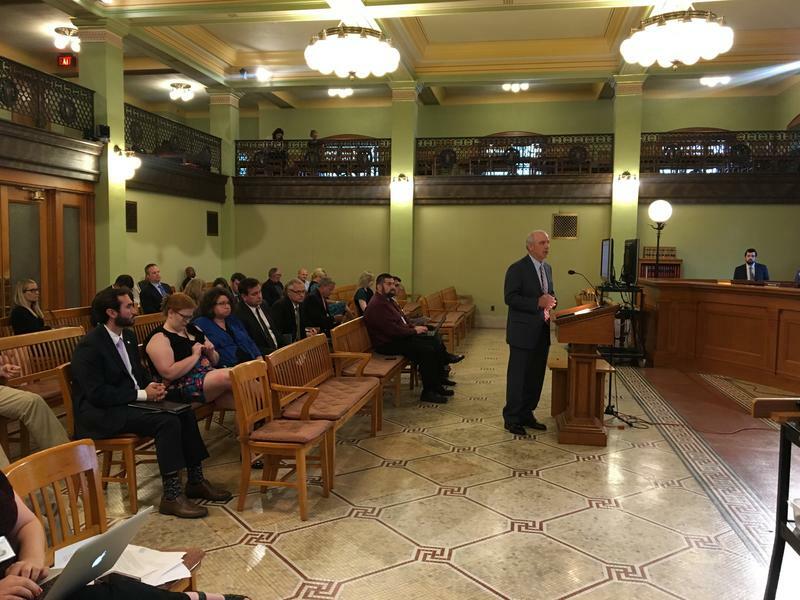 An Ohio House committee has approved a bill to crack down on payday lending without making any changes – a week after the House Speaker resigned and a vote was halted. At Trump National Doral Golf Club near Miami this week, executives with the nation's payday loan industry are holding their annual conference with receptions, breakout sessions and a golf tournament. 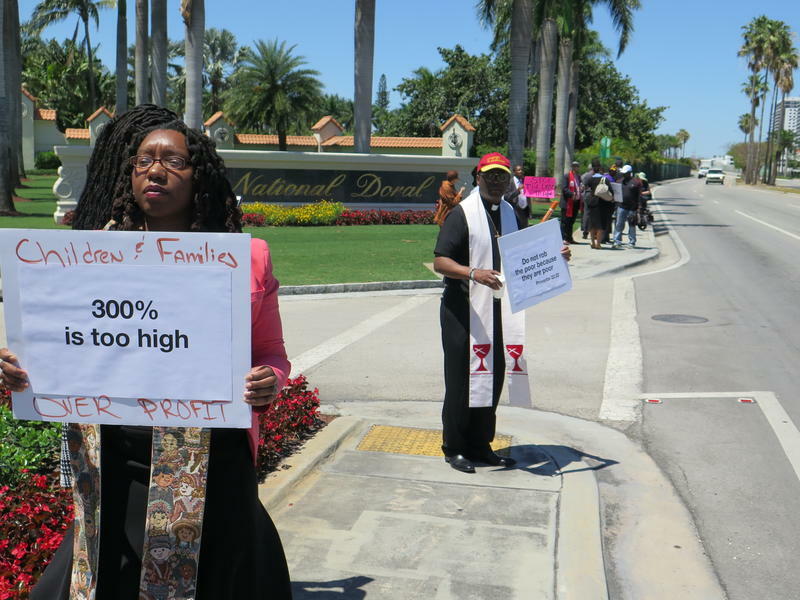 Outside the gates of the resort Tuesday, a smaller group gathered to hold a protest. They were trying to shame an industry that they say preys on the vulnerable, by lending them money at interest rates as high as 200 percent to 300 percent a year. Supporters of capping Ohio's interest rates on payday loans are working to correct errors and resubmit petition language after their first try was rejected. Backers of a proposed constitutional amendment capping interest rates on payday loans at 28 percent have delivered petition signatures to Ohio Attorney General Mike DeWine on Wednesday to get the measure onto the November ballot. 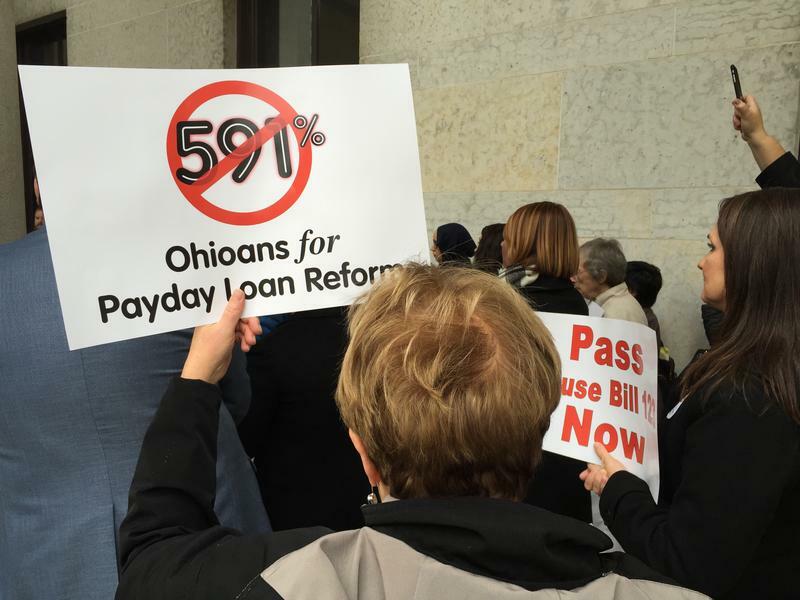 The group pushing for payday lending reform is taking their fight to Ohio voters. 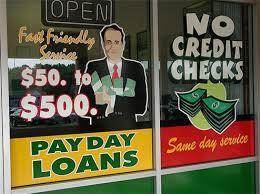 Payday lenders appear to have a powerful friend in Washington. 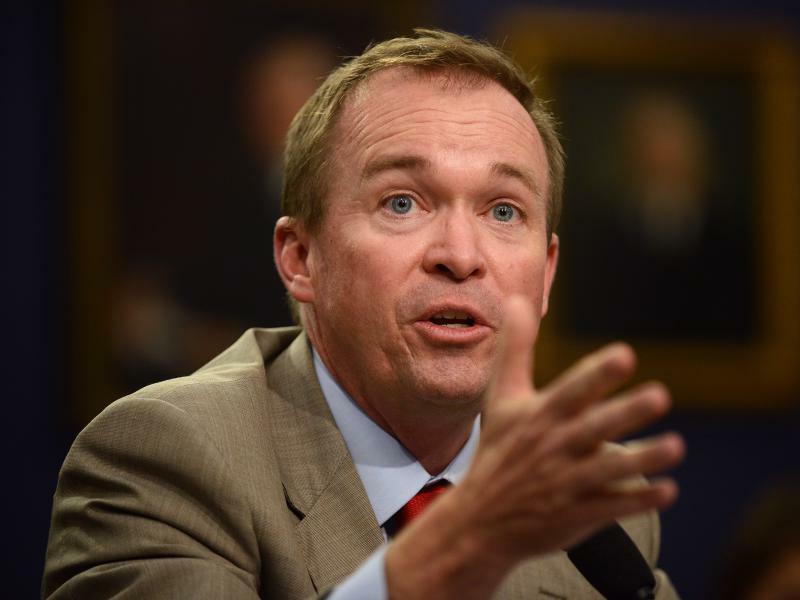 Former Republican Rep. Mick Mulvaney is the interim head of the Consumer Financial Protection Bureau. He was appointed by President Trump amid an ongoing a power struggle for control of the bureau. 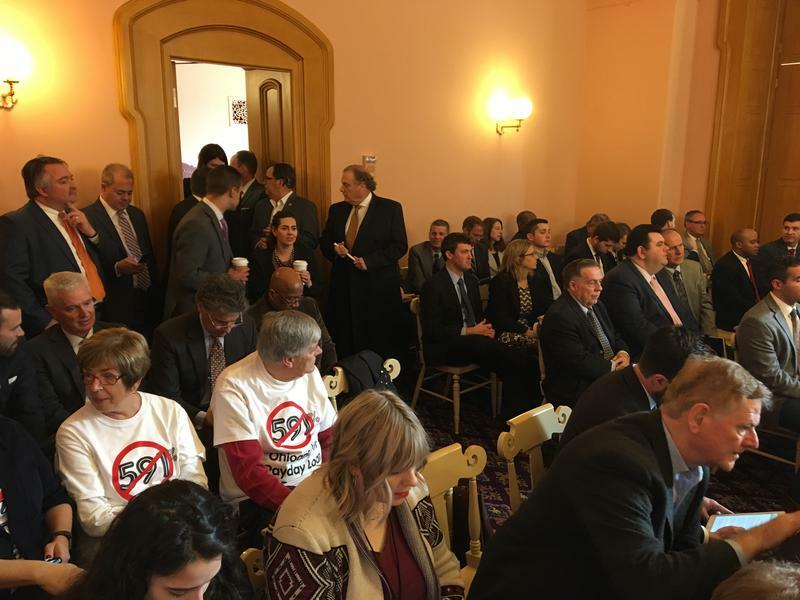 A bipartisan bill that would crack down on Ohio’s 650 payday lenders has received its first hearing in the House. 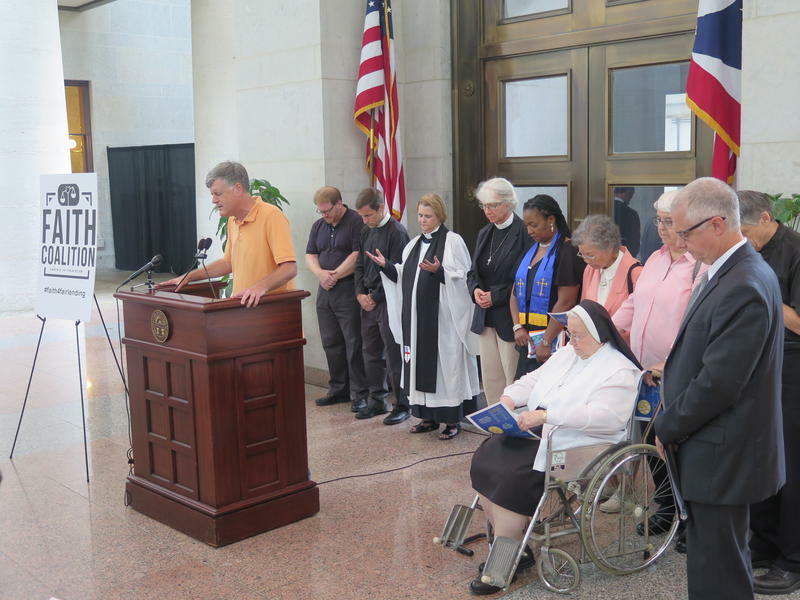 Faith leaders came to the Statehouse Wednesday to speak out on payday lending. 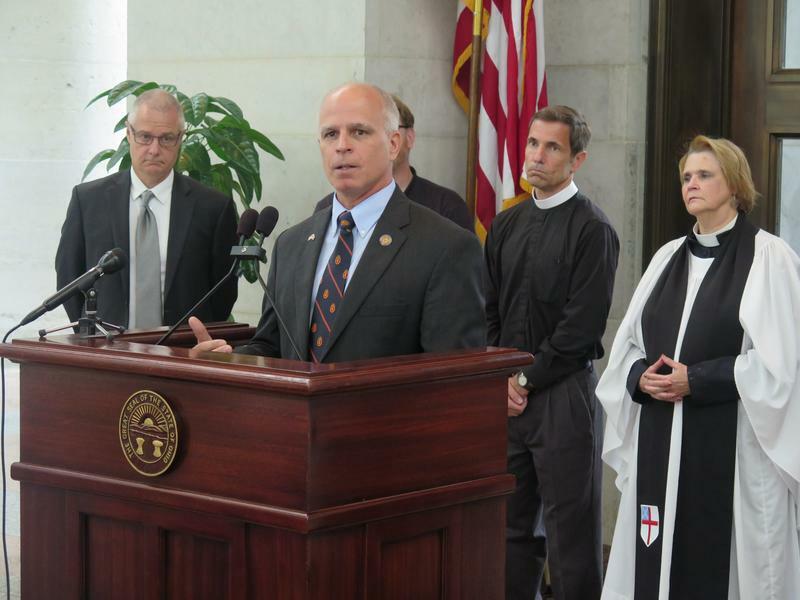 Faith leaders and advocates for the poor are calling on the federal government to do something to reform payday lending. 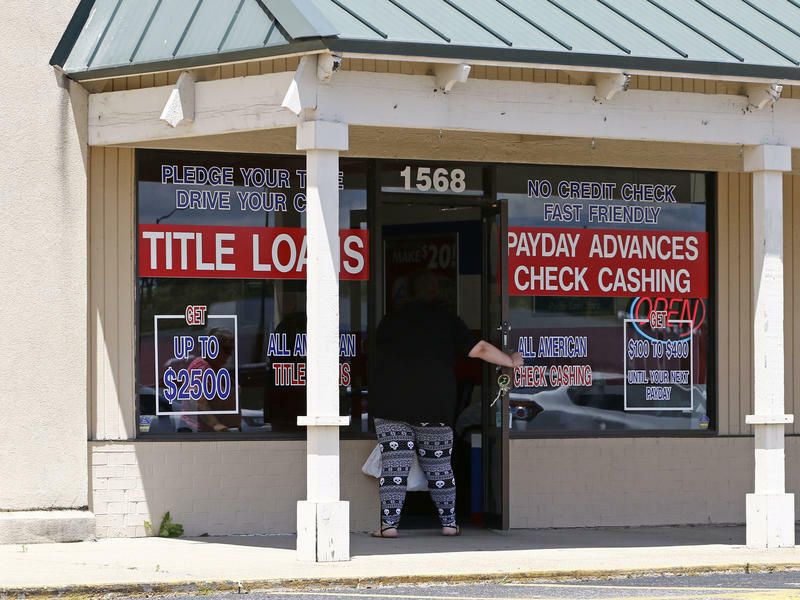 The Ohio Supreme Court last week handed a big win to the payday lending industry by ruling that a two-week loan with a 235% interest rate is legal.